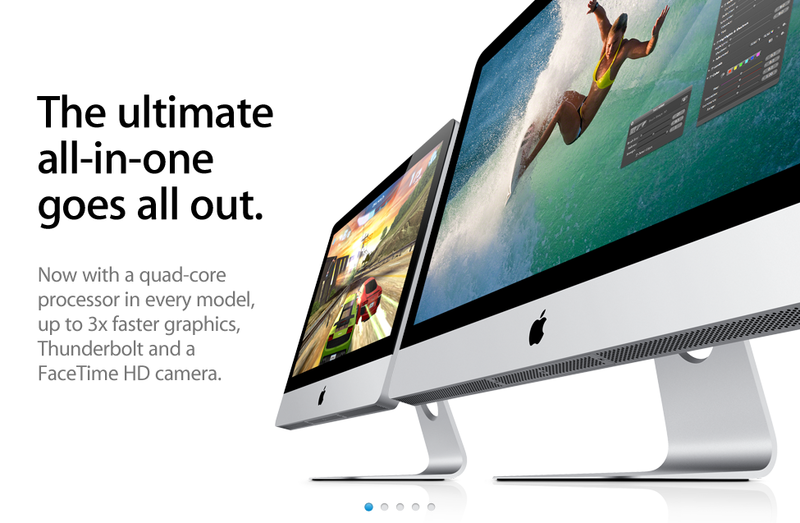 Just as we’ve been expecting Apple today updated its iMac line, bringing quad-core CPUs and Thunderbolt to all models. Sporting the new Sandy Bridge CPUs from Intel, the new range starts at just $1199 for the base-model, a 21.5inch 2.5GHz quad-core affair with 4GB of RAM and a 500GB hard disk. 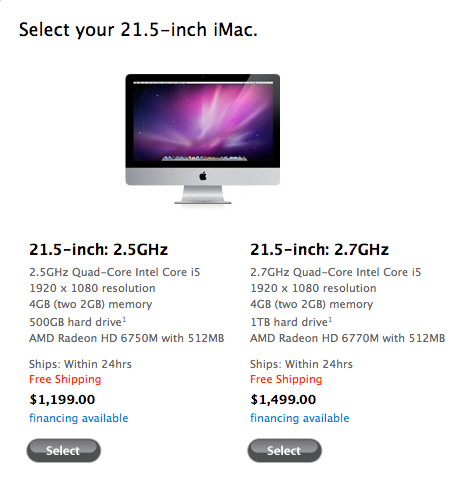 Graphics are catered for by a 512MB Radeon HD 6750M card. Not bad at all for the entry-level unit we’re sure you’ll agree. As for the top of the range model you’ll be looking at stumping up $1999 before any built-to-order additions. Your two grand does get you a hefty chunk of performance though, with 3.1GHz-worth if CPU and a 27inch screen sporting a whopping 2560×1440 resolution. Various configurations are available in-between, with custom orders available as well though the 24 hour shipping estimate does start to increase the more you deviate from the stock models. The usual Magic Mouse, Keyboard and SD card slot are still in attendance. 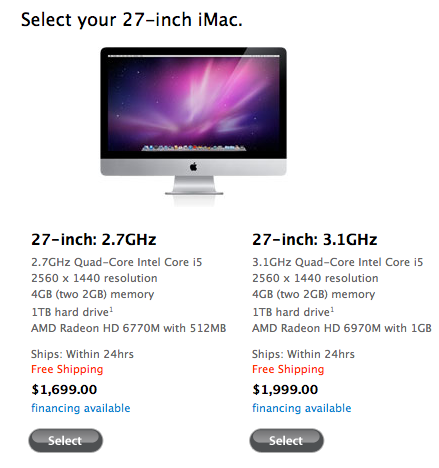 Apple seems quite taken with their new iMacs, and you can check out their full press-release here.